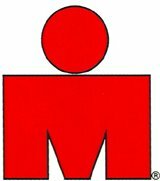 DOYOUTRI: Philly Marathon Course Change? 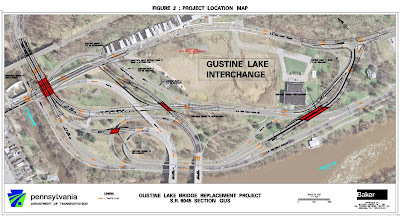 Last week Penn Dot announced construction on the Gustine Lake interchange. This is where route1 and Kelly drive and west river drive all meet I-76. This is a busy interchange but it is also part of the Philadelphia Marathon. If you look at the image about the bridge that connects traffic from I-76 to ridge will be demolished and I light will be put in its place. This bridge during the marathon is what carries runners into Manayunk. So I wonder how much this will affect the course during and after the construction. It will be interesting to see what occurs. I have yet to see any type of response from the marathon itself or even runners who run this race each year. I assume more talk will arise as the race gets closer and people realize there is an issue here but when talk arises remember where you heard it first. Nice catch. I thought I knew where you meant but it didnt match up with what I thought the image would look like. You would think PennDot would have newer satellite images, it doesnt have the Tennis Center in the middle that has been there for at least a few years.